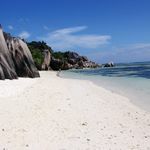 But there is a place you can visit in the Indian Ocean without parting company with an arm and a leg – and it’s called Zanzibar. 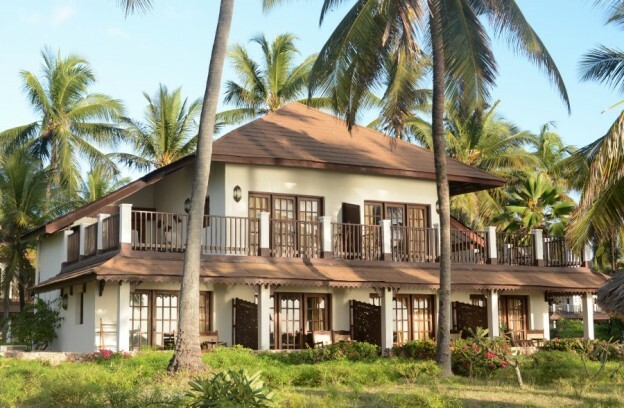 Unlike more ostensibly chic destinations such as Seychelles and the Maldives, the Tanzanian island is eminently affordable. For instance, you can stay at Breezes Beach Club & Spa on the as yet undeveloped south-eastern coast of the island, and still have sufficient change for several of their trademark “Zanzi-Politano” cocktails. And what’s more, there is not far to walk back to your room after sampling them. A night at Breezes on a half-board basis costs from just £75 per person. 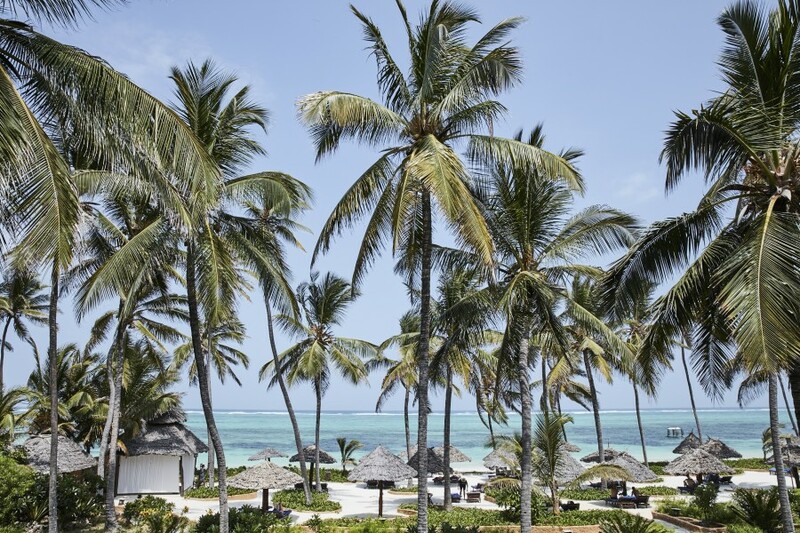 The hotel is one of four very appealing neighbouring five-star properties in the Zanzibar Collection; the others, which have played host to everyone from Bill Gates and the King of Belgium to Mick Hucknall and Michael Flatley, are The Palms, Baraza and Zawadi. 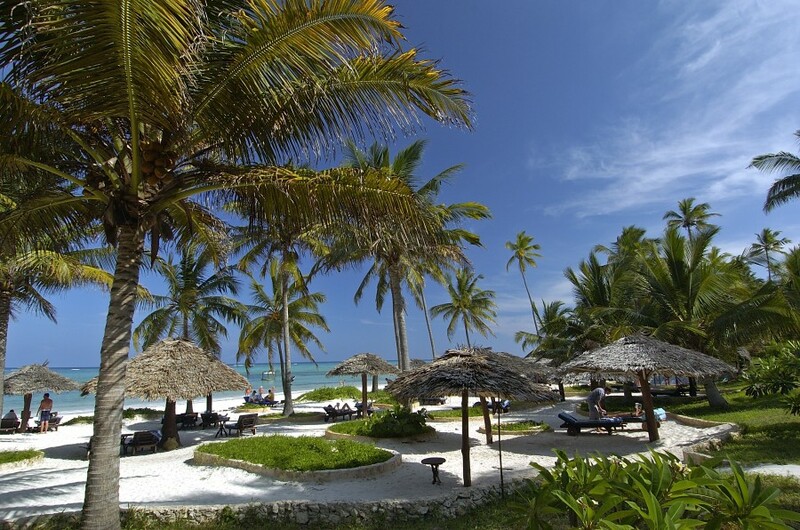 As its full name would suggest, Breezes Beach Club & Spa is situated right on Bwejuu–Paje Beach. 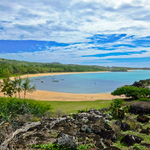 This five-mile strip of white sand is often completely empty. It is also free of the usual hassly salesman trying to sell you cold drinks and sunglasses. Beautifully landscaped with mighty palm trees and enticing palm umbrellas, the hotel has 75 rooms, all furnished with items made by local craftsmen. But it is spread over several acres, and so it still feels very spacious. Thanks to Breezes’ stunning ocean-side location and glorious garden, it is also very easy on the eye. The garden is an explosion of colour, with spectacular bougainvillaea, hibiscus and frangipani bursting out of every corner. It is little surprise to learn that the hotel employs no fewer than 25 full-time gardeners – their splendid work is there for all to see. The public areas of Breezes are equally attractive. They are open to the elements and have marvellous views of the sea. They are covered by amazing roofs woven by local craftsmen out of palm leaves. Like thatchers in the UK, these experts pass their knowledge down the generation. 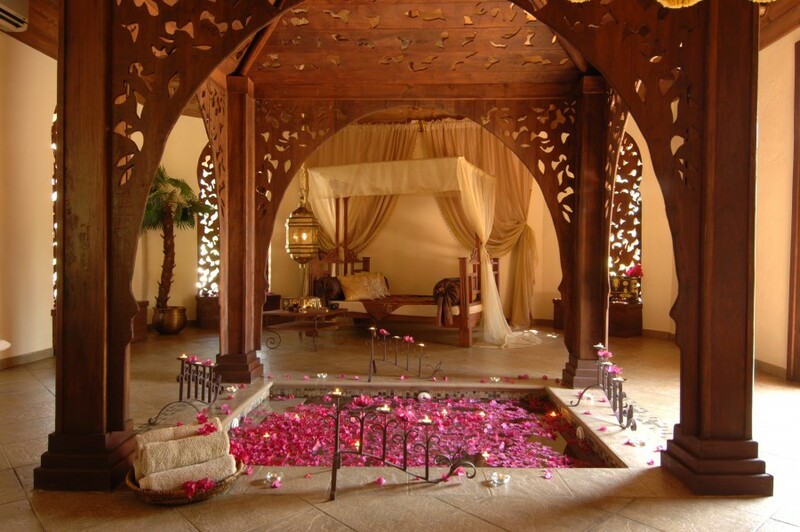 The restaurants include The Sultan’s Table which can accommodate up to 15 diners in a wonderful treetop location. 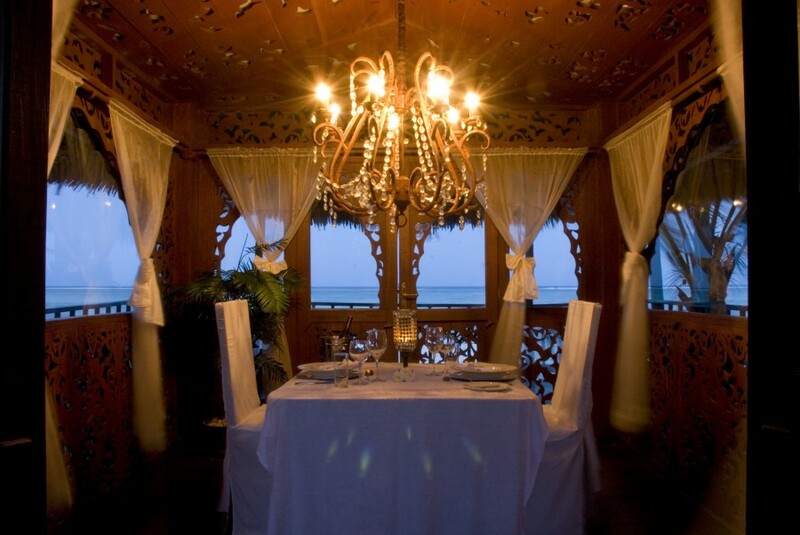 Guests can also have a dinner for two at The Tides, a gorgeous private, glass-encased cabana right by the ocean. 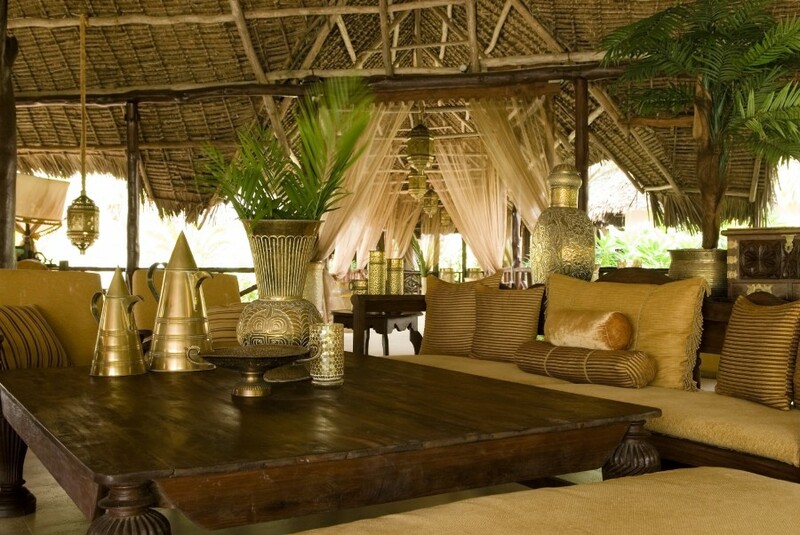 They can take lunch as well actually on the beach under a delightful home-made pergola. We have lunch underneath a mature, spreading mpuri tree (which is native to Zanzibar) at the Breakers Grill. The hotel makes the most of its proximity to the ocean, and the seafood is fresh out of the water. I would definitely recommend the barbecued slipper lobster and the crispy red snapper fillets enhanced with seven spices. The hotel also gives guests the chance to be instructed by the chef on how to make your very own Swahili chicken coconut curry. In addition, the hotel offers treatments at the Frangipani Spa, Meditation and Yoga centre, kayaking, kite surfing, windsurfing, snorkelling, beach volleyball and a reef walk where you can stroll out as far as 1.5 km from the shore to see starfish, urchins, anemones and coral reef. Breezes enjoys an enviable climate twelve months of the year. The island, which sits 25 km off the coast of mainland Tanzania and 6° south of the equator, has warm weather all year round. From the moment you arrive at Breezes and are handed a welcoming cooling face-flannel and a glass of hibiscus juice at reception, your shoulders immediately unclench and you feel the weight of everyday stress slipping at once from your shoulders. In a trice, you are more than happy to exist slowly, slowly. 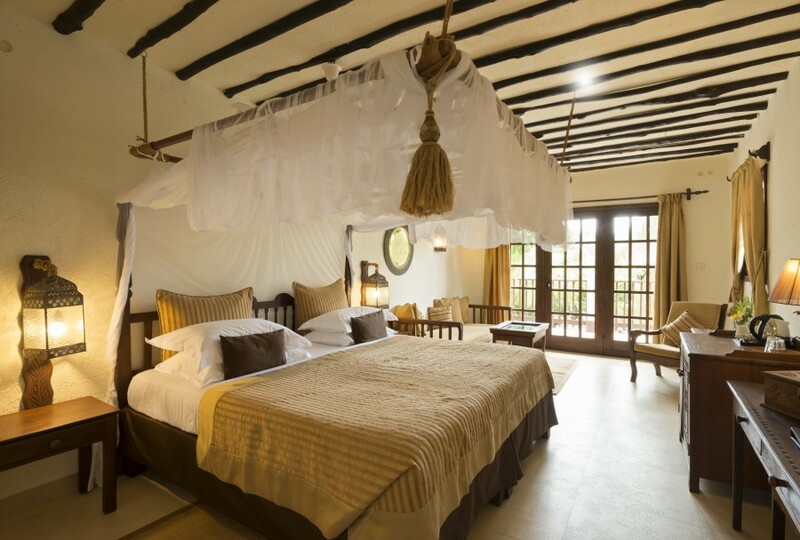 The Zanzibar Collection. Room rates at Breezes Beach Club from £75 per person per night. 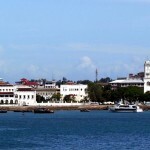 Kenya Airways 020 8283 1818 operate daily B787 Dreamliner flights from London-Heathrow to Nairobi with daily connections to Zanzibar. Economy tickets cost from £421pp and Business Class tickets from £2,300pp including tax.